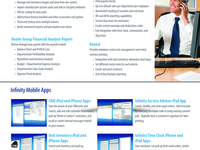 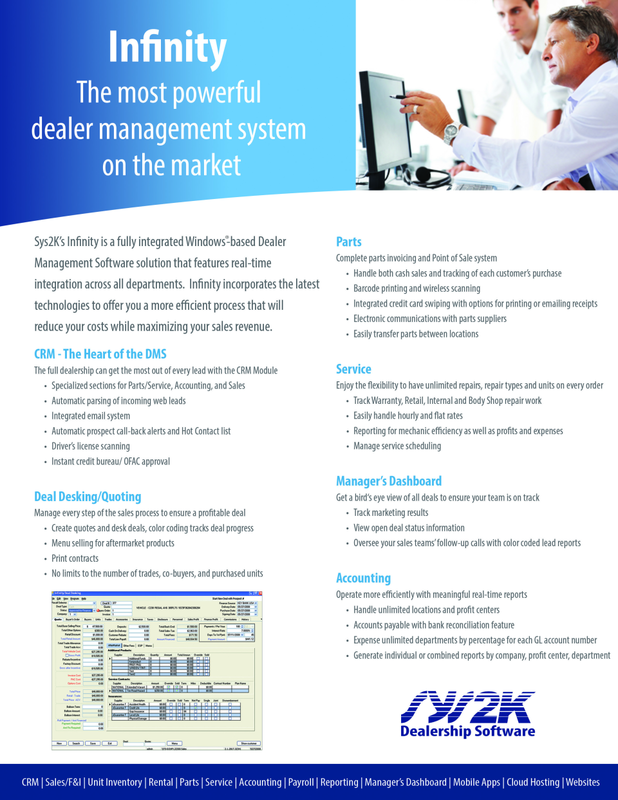 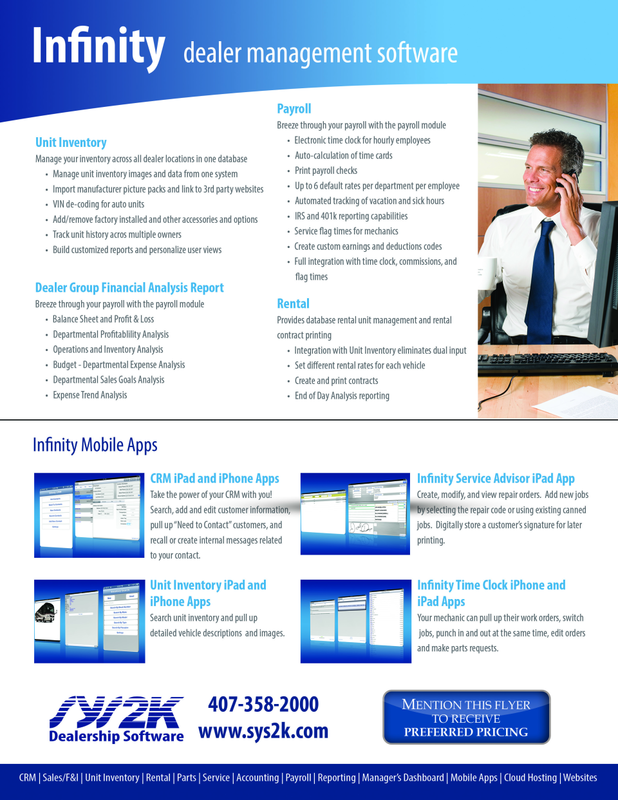 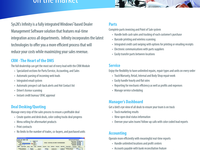 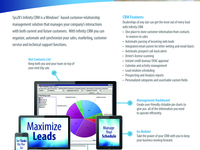 Sys2K's Infinity DMS is a comprehensive, Windows-based dealership software solution. 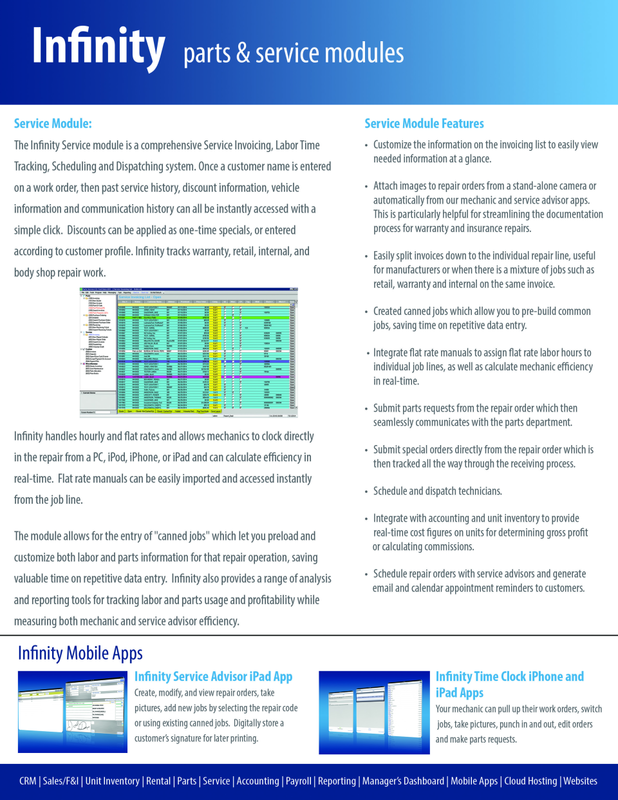 Whether 1 to 1000 users, the Infinity DMS is cost effective for dealerships of any size. 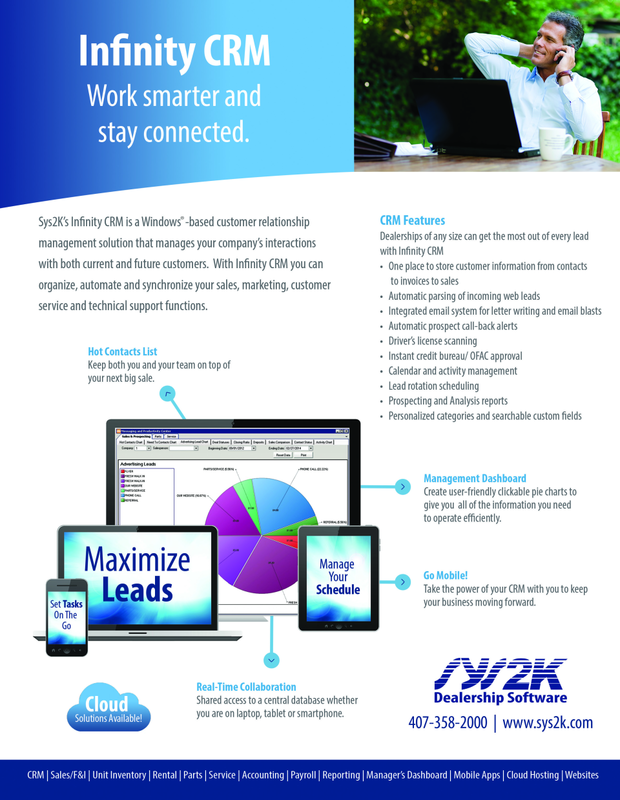 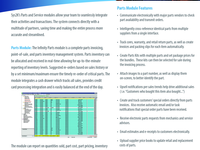 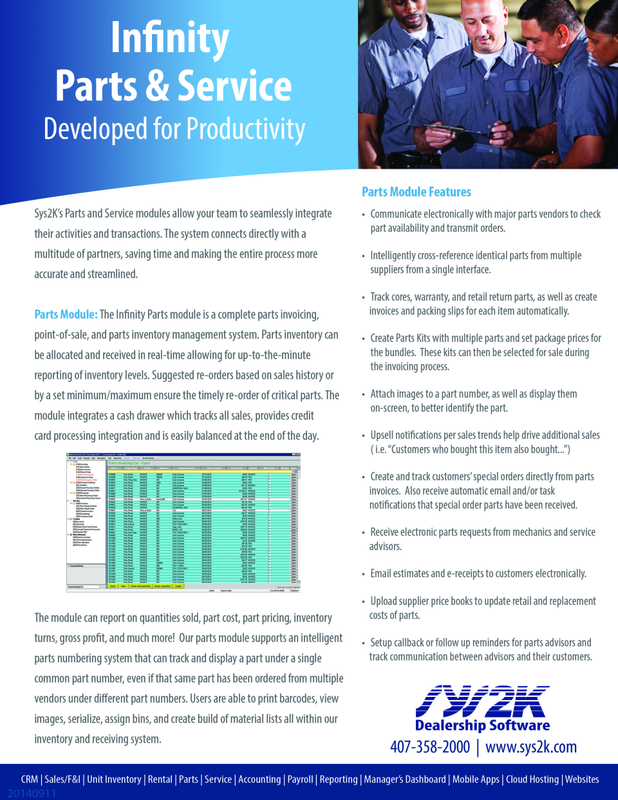 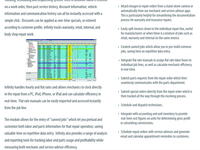 Sys2K's DMS provides an integrated package including specific modules such as: Accounting	CRM Finance & Insurance	Parts Payroll	Rental Service	Unit Inventory The software interfaces electronically with Stag Parkway, Bell Industries, Coast Distribution and links to over 150 pricing catalogs.